Sydney’s then Archbishop, George Cardinal Pell requested that a Marian shine be placed at the new Benedict XVI Retreat Centre. 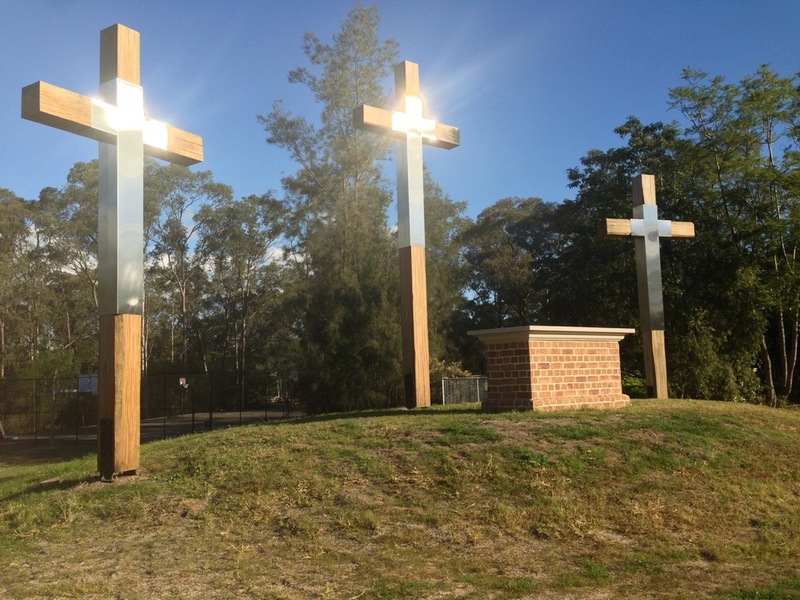 The shrine was to also include replicas of the crosses used at Barangaroo for the stations of the cross during World Youth Day 2008. The shrine is constructed as a brick aedicule surmounted by a curved stone pediment carved from a single 2 ton piece of locally sourced white sandstone. 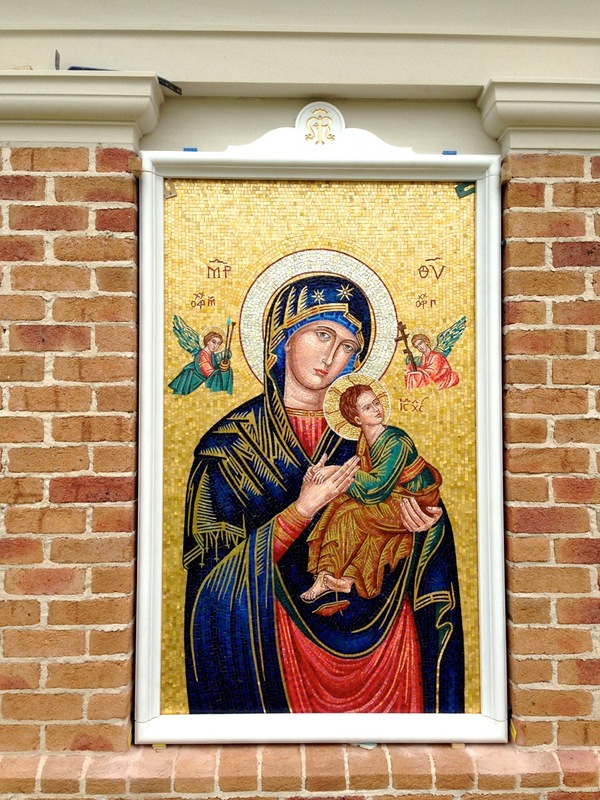 The image within the aedicule is of Our Lady of Perpetual Help, fabricated in Italy from mosaic and marble. To the right of the shrine further up the mound on which it is placed, are the replicas of three World Youth Day crosses that surround an altar with a brick base and sandstone mensa for outdoor masses.